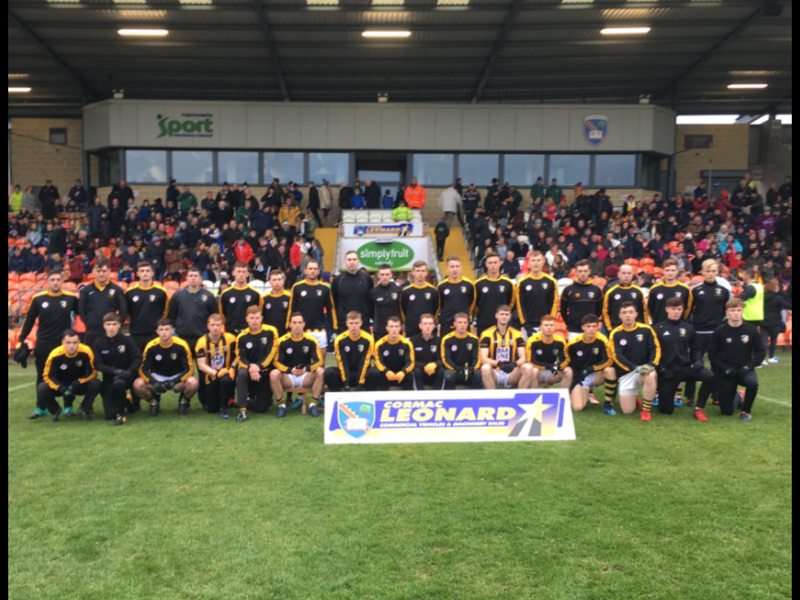 The entire Crossmaglen Rangers Club send our very best wishes and good luck to our Senior team and management who play Donegal side, Goath Dobhair from Donegal in the AIB Ulster SFC Semi final which will be played in Healey Park in Omagh on Sunday with a throw in time of 3.30pm. Young Phil Duffy from Aughnamullen, Co. Monaghan is a big Cross Rangers fan and he is sponsoring the ball for our Ulster SFC semi final fixture with Goath Dobhair. 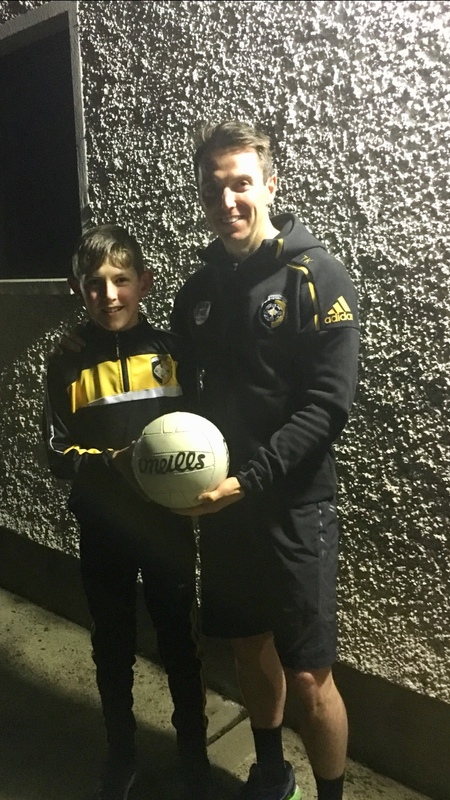 Thanks very much Phil and the Duffy family for your sponsorship and strong support for the club. We are proud to be part of the Team Hope Christmas Shoe Box Appeal in association with Today FM. For the full list of what to put into the boxes, please click on the the link posted on our FB page. Each box must be closed with a rubber band around it, please do not seal it and I will have a label for the box when you drop it off. 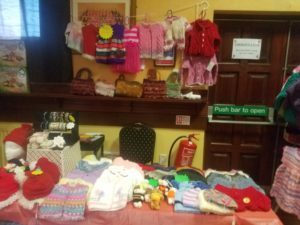 If you have any queries please telephone Róisín 0876659126. 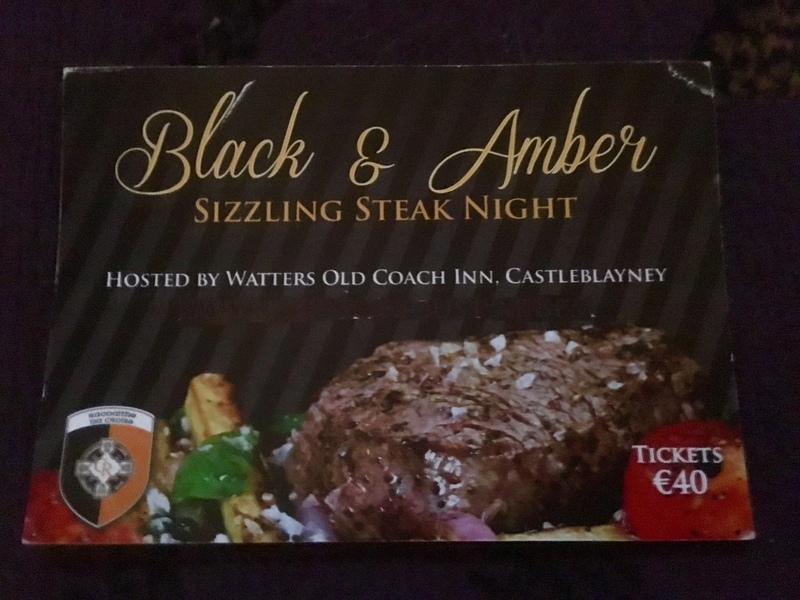 Preparations are well underway for our sizzling steak night which takes place on Friday 23rd November in Watters Old Coach Inn, Castleblayney. The evening kicks off at 8.00pm with a ‘Champagne & Canopies’ reception followed by a three course meal including a mouth watering steak (Other Options Available). Two getaway breaks at the prestigious Sheraton Hotel, Athlone to be won on the night. 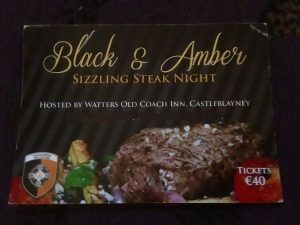 Good food, good craic & live entertainment in the Coach will be the order of the night. To book PM Cross Rangers or telephone 0876659126. 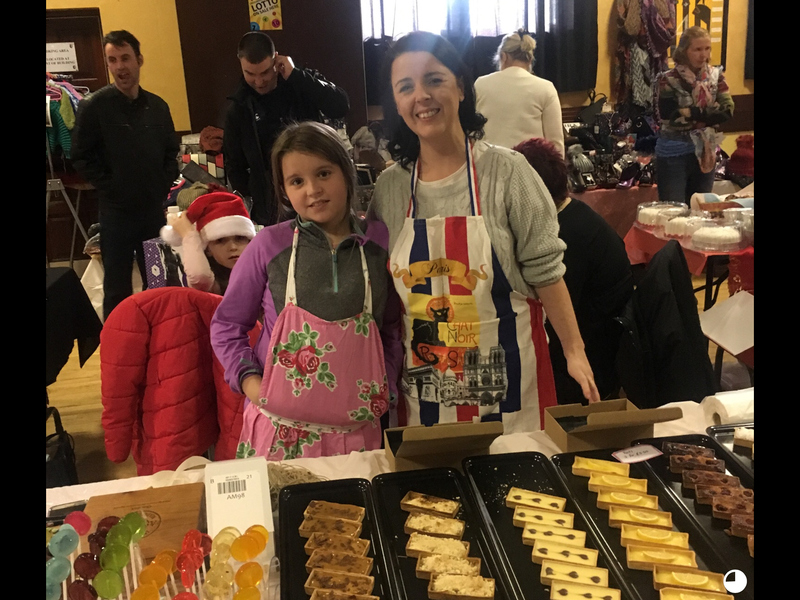 As the festive season fast approaches , preparations are in full swing for our festive Christmas Night which takes place on Saturday 15th December in the Rangers Hall. A mulled wine reception, a scrumptious four course meal and live music by the renowned Paul Cullen. 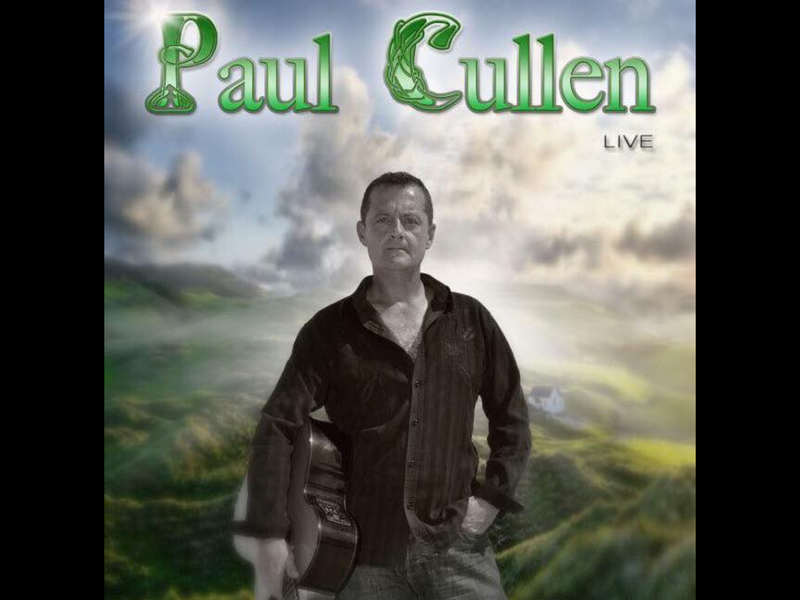 It promises to be a great nights craic! So wether it is a work function , a family get together or friend’s uniting to kick off the festive season , you are all very welcome . No group to big or to small . Transport available if requested . 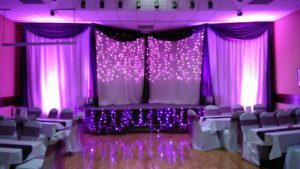 You can book now by contacting Tim (Tel. 02830861588/0868768365) or Mona (Tel.30861780). As part of our health and well being programme, we are delighted once again to be involved in “Ireland Lights up” 2019 in association with the GAA and Operation Transformation. 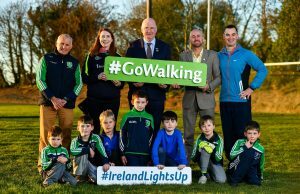 Beginning on Thursday 17th January for a five week period our floodlights will be on and our walking track illuminated as ‘Ireland Lights Up’. Everyone in the community and beyond very welcome to join us. 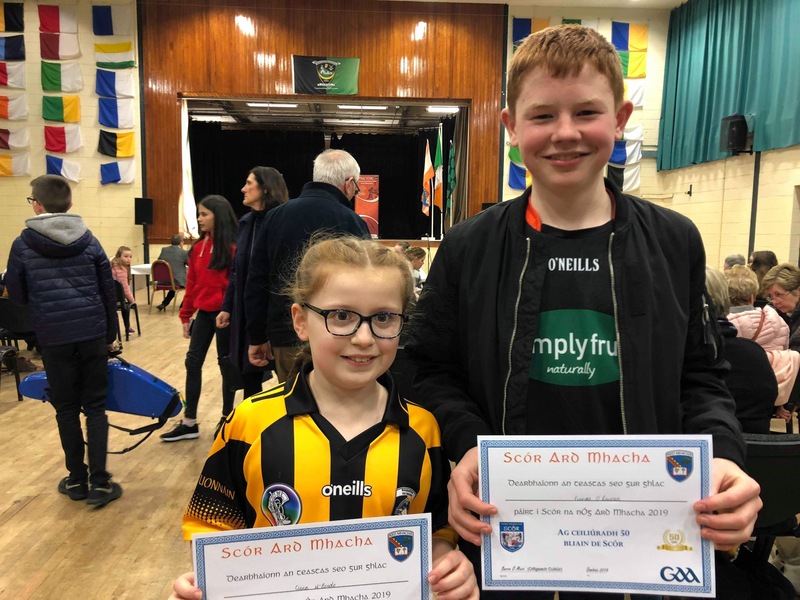 Well done to Pearse Larkin and Ciara McBride who were successful in Scór na nOg held in Killeavy on Saturday night. They now go forward to represent the club in the County Final on 25th November. 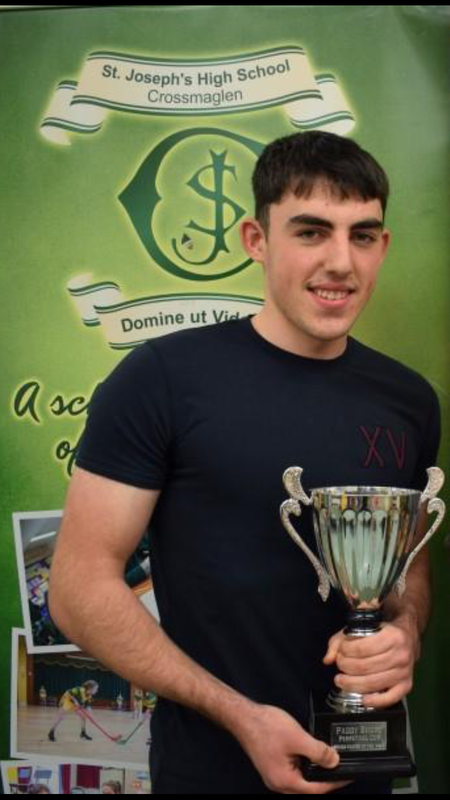 Congratulations to Oisin & Darina McConville on the recent birth of their baby girl, the first girl in the McConville household in twenty one years. Congratulations to Minor footballer, Tony O’Callaghan, a pupil of St Joseph’s High School who was awarded the Paddy Short trophy for the footballer of the year at the school’s recent prize giving. 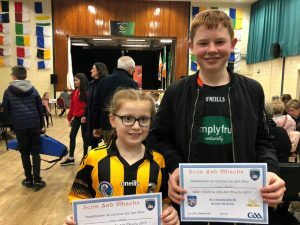 Well done to Alexandra Clarke who was awarded the Cardinal O’Fiaich Award. Congratulations & well done also to the other boys and girls who received awards. Thanks very much to Patrick & John McParland, Carrickdale Hotel, Carrickarnon for their generous sponsorship at the recent ‘Night At The Races’. 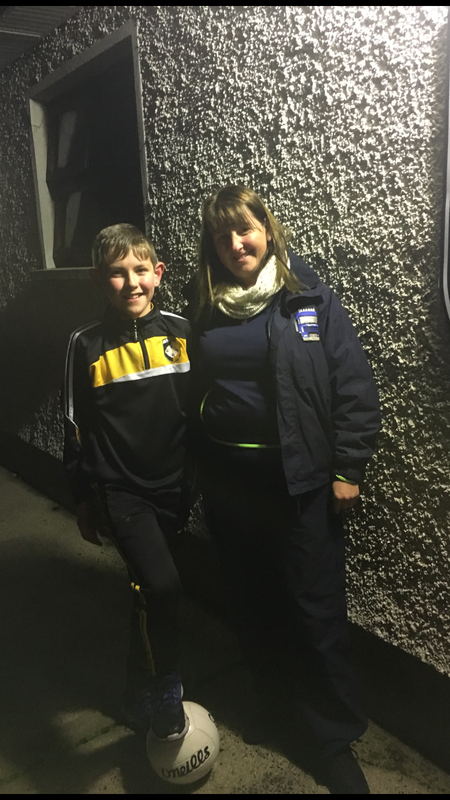 Many thanks to neighbours Silverbridge Harps for the use of their field last week. Ulster GAA, Ulster Camogie and Ulster Ladies Gaelic in conjunction with The Northern Ireland Anti-Bullying Forum (NIABF) and the Child Protection in Sport Unit (CPSU), are calling on all units of the Association to take part in Anti-Bullying Week between 14th and 18th November 2016. 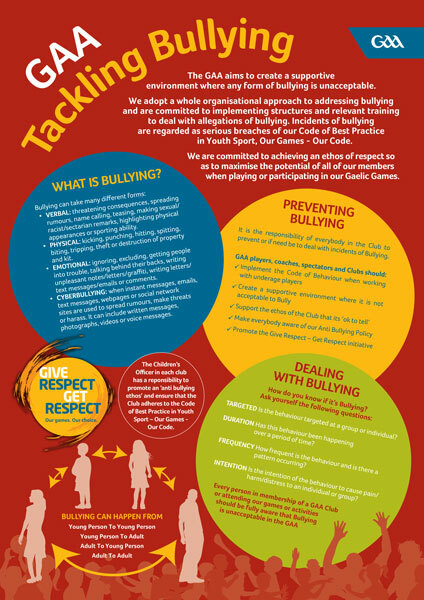 This year’s theme for the campaign is “Together We Are Stronger” which encourages everyone to think about what it means to have strength of character; how we can use our strength for good; and how we can empower our coaches, mentors, parents and players to tackle bullying. 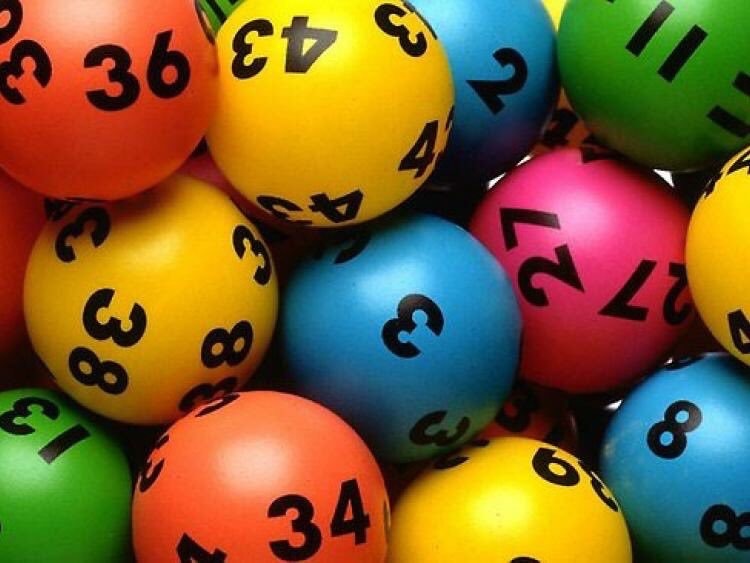 7 matched 3 numbers winning £15 each. Crossmaglen Rangers GFC send their deepest condolences to Annie’s Husband, Pat, Son Terry, Daughters, Patricia, Marian, Terry, Katrina, Clare & Margaret and the extended Hearty and Larkin families. 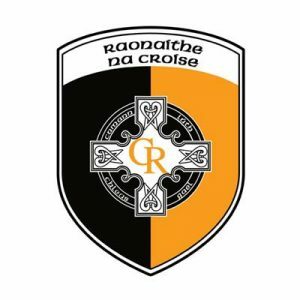 The entire Crossmaglen Rangers Club are saddened to learn of the passing of John, Grandfather of Senior player, Johnny McKeever. We send our deepest condolences to John’s Daughters Michelle, Margaret & Joanne, Son John, Sister Teresa & Paddy Kindlon and the extended McCusker family. 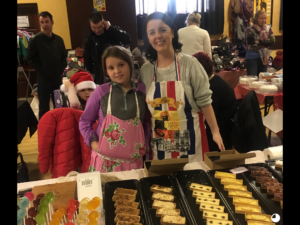 Posted: November 11th, 2018 under Club News.